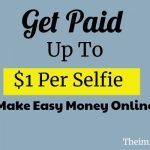 Home » Make Money Online » How You Can Make $200 Per Day? Check out these 2 articles that can help you in your online business. 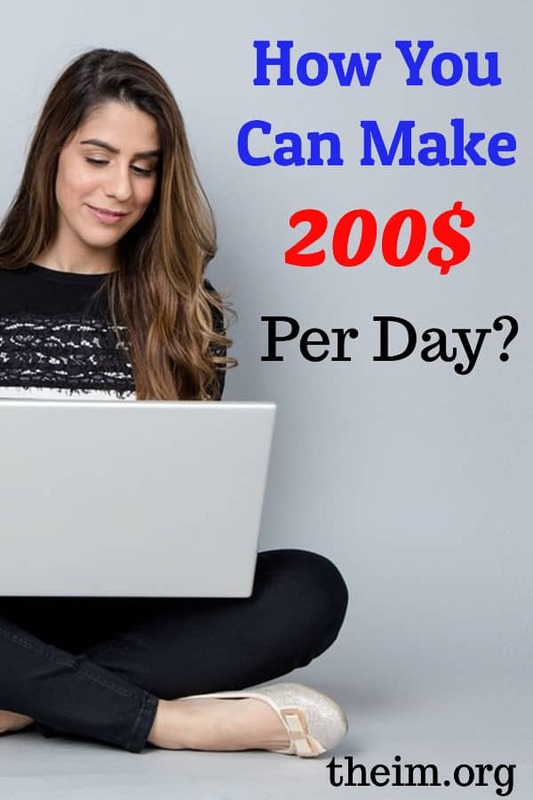 1.25 Legit Business Ideas For Moms that Earns $3000/week in 2019! 2.How To Start A Blog In 2019 That Creates $4000 Per Month! And basically anything else of value you can find around your home. Now here’s a pro tip: you can make even more money by selling items belonging to your friends and family. Just arrange a commission ahead of time (such as 10% to 15%). Once the item sells, you pocket a commission. Attend local flea marketers, yard sales, estate sales, and auctions. You could get buy plenty of items in just one weekend that you could flip and sell for weeks to come. Browse CraigsList.org ads for good local deals. Be sure to check out the “free” category as well. Place a CraigsList.org “wanted” ad. This works particularly well if you offer to pay top dollar for specific types of antiques or collectibles. 1. Check Facebook groups. Many cities have “swap and shop” groups where you can buy, sell and trade goods with local people. 2. Visit local thrift stores. You can often catch good deals here. You might even get lucky and find an antique or collectible that’s grossly underpriced. Once you have the stuff to sell, move onto the next step. CraigsList.org This is a high traffic site that’s great for selling larger items to local people. It’s also totally free to post. eBay.com No matter what you’re selling, try out this platform since it is the biggest and most well-known auction and sales site. Facebook groups Local swap and shop groups are also good options for selling locally (and they’re free). Etsy.com This is a good option if you’re selling handmade goods, such as jewellery. Bonanza.com This is a growing eBay alternative where you can sell a little bit of everything. What are the benefits and features of this product? Forget the fuzzy photos in bad lighting. Take the time to create clear, close-up photos of the item from all angles. For best results, set up a “clean” backdrop like a white sheet (or a solid dark one, if that photographs better with your particular item). This means you should keep your customers in the loop every step of the way as you process and ship their order. Be sure to also package the item carefully and ship quickly. It’s also a good idea to follow up via email to confirm. TIP: Want to make another quick sale? Include a flyer in the shipment that advertises some of the other related goods you have for sale. You might even consider offering a discount if the buyer makes a purchase before a specific deadline. The point of all of this is to develop a good reputation within the selling community, whether that community is a Facebook group or a big platform like eBay. People like to do business with those they know, like and trust – a good reputation will go a long way in helping you sell more for higher prices. 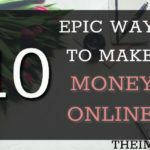 If you like to learn more about making easy money then read this 10 epic ways to make money online without any investment. This wasn’t the sexiest of topics, but creating a personal budget is a good way to free up some funds. Plus if you keep your day job for a while, you’ll have even more money to invest into your business.You must take take care that you don't get stuck into Paypal money adder scam or Master writing jobs review ! If your business idea inspires others, then you can fundraise on sites like IndieGoGo and Kickstarter. The idea here is to exchange your skills for quick cash. You can offer anything from professional skills (such as writing, designing or programming) to manual labor (such as lawn mowing and yard work). While you can certainly sell digital products (such as ebooks), the focus here is to sell unwanted items for quick cash. You might be surprised to find you’re sitting on a personal goldmine! So which way is the best way to raise funds? As mentioned in the beginning, this is a two-step process. The first step is to tighten your financial belt so that you don’t have as much money going out. The second is to bring more money in. You can use any of the methods mentioned above – or all of them. It all depends on your needs. But here’s the key: take action. Don’t sit around and over-think this. Pick a method and get started right now. Because the sooner you do, the sooner your business dreams can become a reality! I like the way you broke down and detailed the process. With the way the economy is, we can all use a side hustle! Yes, we should use this kind of opportunities to make easy money. So many great ideas! I want to try garage sale flipping this year. I have always loved finding a great deal and why not look for things that other people would treasure, as well. Hey Heather, Best of luck for garage sale flipping.Hope you get it done this year!.I am glad that this article helps you! This was a great post to read, full of loads of practical ideas, thank you!